Almost half of our day is spent at the workplace. It could be that you are working at your own house or have your own office space at work. Either way it is important to be able to work well, and simultaneously improve your productivity continuously. While improving productivity depends to an extent on the skill set and what you bring to the table, it also increases depending on how organized you are. A well-kept and an organized office not only provide you with a comfortable work atmosphere but also help you to organize your work effectively. The basic furniture at your workplace is the desk, the chair and the storage cabinets. It helps if you have a comfortable and ergonomically designed chair that supports your back while spending long hours at the table. 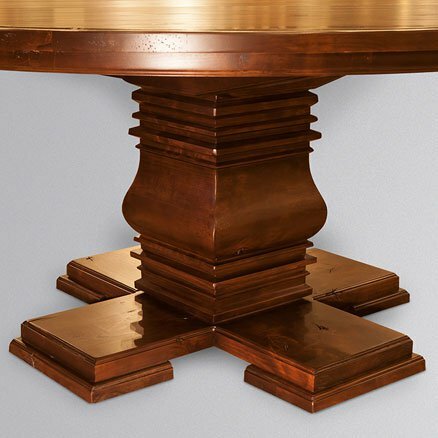 A table with a good height and space so as not to be too compact or too spread out is what is important. Drawers and filing cabinets that open and close as easily as one can. The cabinets should not only have good storage space but also be designed in a way so that it makes reaching at things easier, rather than having to push and pull at it. If you have a big enough space, you can have a comfortable seating area for your guests or clients to feel at ease. A little nook in your office space can be converted to a contemporary styled seating area for your guests. Good quality and well-designed furniture help to organize your office. Keeping your business or area of operations, one can initiate discussion with good furniture experts who can personalize your office area keeping your personal needs at the top of their mind and while designing it. Choosing cabinets for your kitchen can be a very challenging process which may require many months of careful thought and planning to find a suitable decision. The process of choosing new cabinets for your kitchen can be achieved more easily by updating the entire kitchen, especially the countertops, due to their ease of breaking beyond repair after being removed. Choosing the color of your new cabinets will likely be the simplest part of the decisions you need to make because the functionality and size of each cabinet needs to cater to the way your activities will flow. Today we will provide a few organization methods for your new cabinets. It is important to plan how you intend on working in your kitchen to choose the most suitable cabinets for your needs. It is always convenient to have a large cabinet for pots and pans beneath a large countertop area to allow quick transportation of food between the prep area and the stove or oven. Thin cabinets are great to place on the ground next to an oven for the storage of baking sheets and cutting boards. It is also important to plan space for storing utensils such as forks and knives above cabinets in drawers in the preparation area. Wall-mounted cabinets should provide plenty of space to store plates and glasses near the serving area, while spices should be stored on racks inside of a cabinet on the opposite side of an oven for easy access. Cabinets which are beneath sinks should be large to allow space for various cleaning supplies. With careful planning, you can choose the right cabinets which help you organize your workflow. 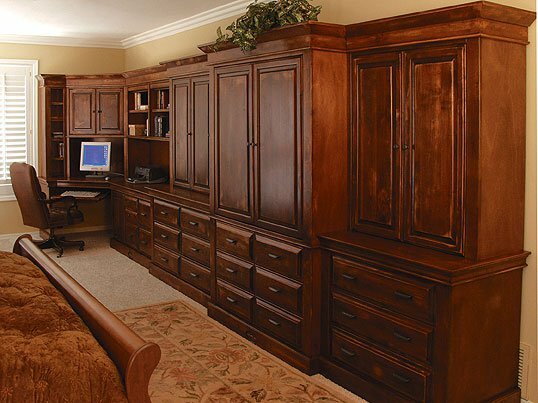 Speak with a sales representative at Stone Creek Furniture to begin planning the layout of your new cabinets. Here is one of our customer’s Stone Creek Media Wall and her comments to us. Much appreciated! Home improvement seems to be the topic of choice for homeowners within the past few decades. Making your home more visually appealing, functional, and comfortable are high priorities for both homeowners and investors for the common goal of increasing the value of a house or condo in case of a future sale. Although there are many ways to improve a home, we are going to focus on a few tips about designing your bathroom perfectly. The most important thing to consider when you plan to design a bathroom is to choose components which suit your budget well. Save as much money as possible until you reach your goal, then go for it! Is it a large master bathroom, or a bathroom of regular size? Always calculate the exact dimensions of your bathroom so you can plan how everything fits in the room. Draw a scaled map of your bathroom and work on placing everything you have chosen to add so there is optimum space to move in the room. Of course you want to have the most up to date bathroom vanity you can get, but it is always a good idea to design your bathroom so it remains attractive for decades to come. Stone countertops, hardwood cabinets, free-hanging mirrors, tiled showers, and glass doors are currently popular bathroom design aspects which will remain in style for a long time. Although bathroom design is a very personal project to take on, it is always a great idea to seek outside help. Many home designers will provide suggestions free of charge. It is also a great idea to browse home design magazines to come up with ideas for your bathroom design project. With careful planning, you are guaranteed to have the bathroom of your dreams. There are many parts of our home that could use a little work. While an immediate and entire remodel might not be in the budget, gradual improvements are affordable and easy. If you’re considering remodeling your home the kitchen is always the best place to start because of its frequency of use. Choosing furniture and kitchen accessories is a great way to spice it up. The difficult part about modifying any part of your home, especially the kitchen, is choosing what exactly to change. Whichever parts you choose first, any and all with help breathe new life into your home. Drawer fronts are a great place to start with your new kitchen. 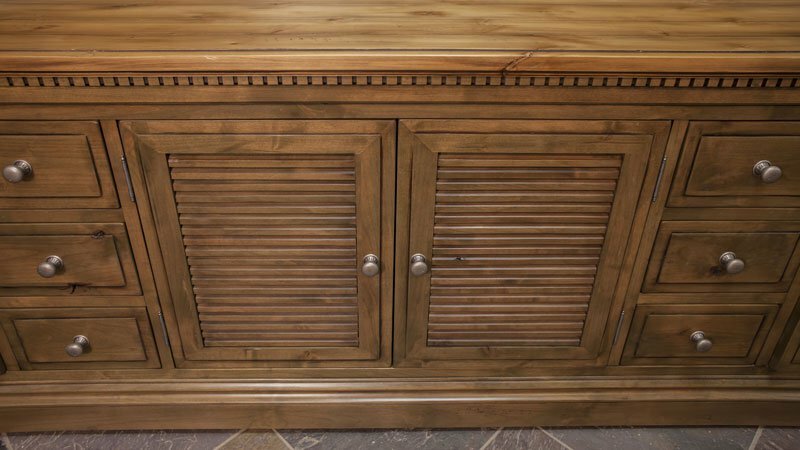 It can be expensive to completely replace an entire cabinet or drawer so changing the front can be an easy and affordable way to go if you are strapped for cash. Drawer fronts can come in a variety of materials with the most popular and eloquent of them being wood. With a variety of finishes and designs you are sure to find one that suites your kitchen the best. Knobs and handles are another subtle way to spice up your kitchen. While appearing small at first you’ll soon realize that these are very important. There is a large array of styles and materials that you can go with when deciding to replace handles and knobs for your kitchen. Various materials such as brass and steel can be used for handles and they come in all shapes and sizes so you’re sure to find exactly what you want. Countertops are always great to change in a kitchen. Nothing can change the style of a kitchen like a new granite or wood countertop. The great thing about these pieces is that they are durable and look great. To go along with countertops, edge details are also important. The freedom to choose exactly what the edge of a countertop looks and feels like has never been easier and whichever style you choose is sure to add a sense of depth to your kitchen. New crown moldings and table moldings are also great ways to improve the look of your kitchen. There are many other ways to improve your home’s kitchen and spice it up with new accessories. If you are on a tight budget many of these can be done over time to gradually improve your home. Take a look at your kitchen today and decide which part to improve first! Whether you have a small apartment or a single family home, the best thing about having a family is to have relatives and friends stay over. It sure is a lovely feeling to be in the company of friends and family. Along with that comes the need to see that they are comfortable when they decide to have an extended stay at your home. If you have overnight guests, it makes sense to have an extra bed – traditional or the murphy bed. Murphy beds today have evolved from more than just a fold up bed. Today, most homes have a contemporary and a modern look. The new Murphy beds fit in seamlessly with the modern interiors that sport an urbane style. They are more than just functional, they look good in an apartment or in a bigger home with a spare room. For those who have a spare room, yet want to have a multifunctional space than just a stereotypical guest room, Murphy beds are a must. The Murphy bed can be designed in a way as so that it can be used for other purposes than just as a bed. At night if you have guests, you can completely unfold it and convert it to a bed. The bed with its multipurpose approach can be used for different purposes, rather than just being a piece of furniture to sleep in. You can have it whichever way you want it to be, yet serve the purpose as a bed when you want it to. Fold it up against the wall and set it up the way you would want. With this advantage, no one knows that there is a bed in the room, unless you want others to know it. A great option with affordable pricing, it completes the basic furniture needs for a room completely. With a sturdy structure it can be opened or closed as and when you want to. A sound mechanism and sturdy frame enables it to withstand rough handling, therefore, it can be opened and closed without having to worry about it giving way or succumbing to pressure. Your home is where you can put the imprint of choices. The formal living room, or the informal family room, and your media room are places that are used for formal or impromptu gatherings. You can make it unique with your choice of interior décor. You can be different from the rest and have a media wall that stands out and livens up the room. Stone Creek Furniture in Phoenix is a one-stop specialist when it comes to helping you with your media wall. You may wonder about the importance of doing up your media wall and how does it contribute to the décor of the room or the house for that matter. These days one does not deny the allure of a big flat screen television. With the latest technology, like Blue Ray and 3D, it just makes everything come alive on the screen. The huge gadget can make anything around it look nonexistent. You may have the best of décor, but in front of the stupendous object everything may look so very bleak. So, to balance the impact of the large television it helps to do up the media wall and choose the decor around it. The media wall certainly balances a large television out. It provides an uncluttered look that is smart and contemporary. The sky is the limit with the choice of offerings at Stone Creek Furniture. Moreover, they are custom made depending on your wall and space size. Go classic or contemporary, go big or just as a niche. With that comes a clutter free wall that also works as a composite display unit. You can use the shelves to display knick knacks that you have collected over the years, or distinctive artsy items. Go a step further and you can have an electronic fireplace built into it, or have a niche to have your DVD’s and speakers placed strategically to give it a complete look. Add accented and hidden lighting to give the space a magical touch. The floating shelves add to the look and draw away the focus from just the television and make the space look complete with the incorporated décor. The new year has come. It is 2012, and your home design may be a bit behind the times when it is placed in comparison to the beautiful layouts that you see in magazines, on television shows, and at your friends houses. You may have made your new year’s resolution to finally get around to updating the appearance of the kitchen and bathrooms in your home. You may have even decided that it is finally the right time to buy new furniture, linens, and paint for each room. You have big plans, yet find yourself wondering which room to begin the remodeling. They say that the kitchen is the heart of every home, which means that your kitchen may be the perfect place to begin the transformation of your home. With each passing year, many will notice that the kitchen design trends will have changed slightly from that of the previous year. It is important to collect as many ideas as possible from credible sources such as home designs shows, and speak to a professional that knows what is up to date and will look best in your home. Of course the main point of the new design is to create a kitchen layout that works best for you and your family, while remaining visually appealing to increase the value of your home. The kitchen design trend for 2012 is the simple idea of functionality and organization. The cabinets and drawers certainly need to be optimally functional, which means that you may need to have them custom made with specific dimensions to best suit your needs. It has become quite common for new drawers to come with pre-installed organization racks which slide to help you organize your silverware, while providing extra space beneath the rack to conveniently store your cutlery in the same drawer. Your cabinets certainly need to be attractive and crafted of high quality hardwood to assure years of extended use. The layout of the kitchen must be practical, and the kitchen trend of 2012 is all about saving space to allow you to move freely while the room is in use. Appliances such as stove/oven combinations, and the refrigerator must be in appropriate areas of the room. It has become very popular for kitchen appliances to be crafted of highly attractive stainless steel. The countertops that you choose for your remodeled kitchen are just as important for the appearance of your kitchen as the cabinets you choose. The latest trend for kitchen countertops is to use a hard stone such as granite or marble. It is important for the color of the marble or granite countertop to have the perfect contrast to the color of your cabinets. The perfect choice of color combinations between your countertops and cabinets assure that your kitchen will glow. Be sure to keep an open mind when you begin to design your new kitchen. It may take a bit of time to settle on an idea, but it is worth the careful thought. Be sure to seek advice and tips from a professional kitchen remodeler. It isn’t uncommon to want to change something about your home after a few years. In fact, many people these days are buying homes that are cheaper and haven’t ever been remodeled to cut down on initial costs. As we all know times are tough for many of us and the extra cash to remodel our homes just isn’t there. Fortunately for many of us we can afford to remodel particular rooms or areas of our homes and cut costs by not investing in changing the entire thing. One of the greatest areas of the home to begin a remodel is the bathroom. Knowing about some ideas for remodeling your bathroom can help you decide where to start and what to do. Changing the walls by removing wall paper or simply repainting is a great place to start with your bathroom. Many people don’t realize that if they have purchased a pre-owned home that it is likely that whatever is underneath the old wallpaper or paint hasn’t seen the light of day in ages. Because of this it is hard to tell if the walls themselves need to be repaired (such as drywall) and by removing the outer layer you can see exactly what condition they are in. In addition, wall fixtures such as lights, mirrors, and other furniture can then be affixed to your remodeled walls to better suite your style, especially if you opened them up to investigate the electrical system. Some people even choose to change the entrance into their bathrooms by breaking down walls or opening them up. Changing the flooring and doors is another great place to start in a bathroom remodel. The variety of flooring is nearly endless when it comes to this ranging from carpet or hard floors such as tiles, linoleum, and even granite or marble. The door to your bathroom can be just as important. As a passageway into the bathroom it is the first thing someone sees before entering and the last thing they see upon leaving. Choosing a door that matches the flooring with give a very sound and complete appearance to your bathroom. Plumbing and water fixtures are likely the most common bathroom remodel that is performed. We all know that overtime our sinks, toilets, bathtubs, and showers eventually wear down despite how well we try and take care of them. Changing the faucets and sink is great way to add style to the bathroom and accompanying it with a matching toilet and shower/tub makes for a great overall appearance. Many people choosing to put in a bathtub-shower combo as opposed to buying two separate units so that they can save money. Almost all the areas of the bathroom are linked together in one way or another. If you remodeling the walls you can make room for doors as well easily alter where the electrical wiring goes. When the floor is remodeled you can take note of the plumbing and water fixtures and see if you want to move things around. Both of these make it easier to add or replace new items in your bathroom. The past 10 days have been amazing! Not once, but twice, I have been invited back to a clients home to oogle over their finished kitchen project. Not to just look at the kitchen but to have lunch or share a snack while we chat. Just sitting in these new spaces makes me so proud to have been a small part of something that will bring them enjoyment for years to come. As I walk towards the kitchen I keep my head down and then like a kid on Christmas morning, I open my eyes. Now,you would think that this would get old after awhile.How much beautiful cabinetry, granite and backsplashes could one get excited about. Well apparently alot, because I never get tired of it. As I sat in my clients kitchen and we talked about how great it turned out, we toasted a flute of champagne, ate bruchetta and just purely enjoyed the space! Then a few days later I get an email from Jeannie asking me to stop by to have fresh baked cookies in her new kitchen. I swing by her house and I get the same thrill. We eat cookies( and they were good!) and talk about how great her kitchen looks. I am so passionate about what I do. Let me provide 2 hours of complimentary design service and we’ll create a space that will make your heart skip a beat….just like mine! No lunch required!